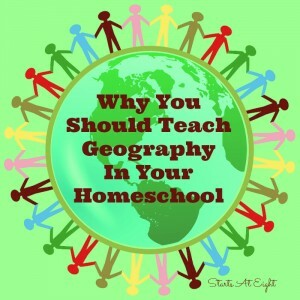 When you are looking to teach Geography in your homeschool, there are two main variations to consider. 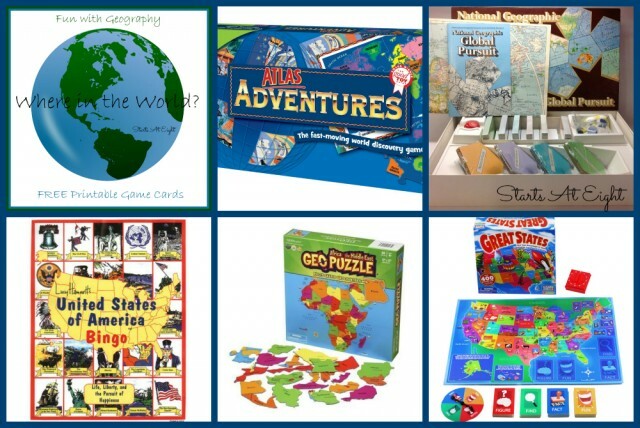 Are you going to teach Geography hands on? 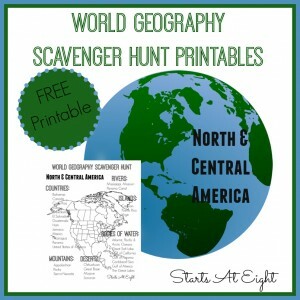 Or are you going to teach Geography strictly from a book? Previously I have talked about different learning styles. Not all children, or adults for that matter, learn in the same way. When looking for curriculum options in your homeschool it is important to keep in mind the kind of learning style you are going to be teaching. 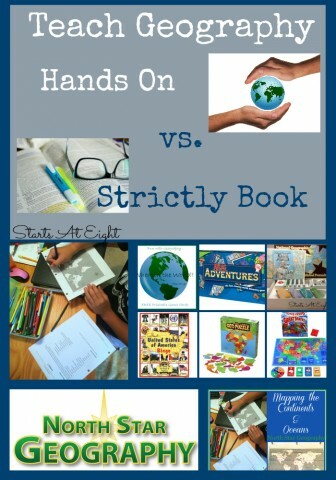 Both teaching hands on and strictly from a book are valid options to teach geography (or really any subject for that matter). 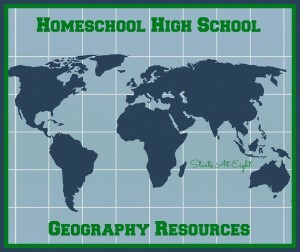 When it comes to my teen, we teach Geography mostly in a strictly book style. She has never been the kid that was overly thrilled with cutting and pasting, building, creating, or playing extraneous games. She is a more concrete, read it and learn it style learner. So what does teaching strictly from a book look like? I know the word strictly sounds a little rigid, but in reality book learning is a great option. One of our favorite ways to learn/teach history is through reading historical fiction. 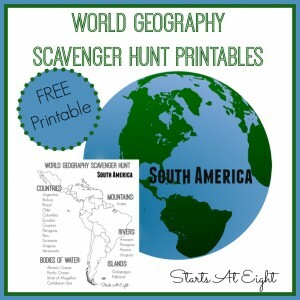 To teach Geography in a hands on style is pretty much how it sounds. Being hands on allows the student to physically do and create things. The final step in my teens more strictly book style, is kind of a cross between both. 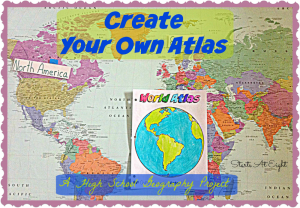 Mapping requires using an atlas for reference, sometimes multiple atlases, and labeling them on the map (book learning). But you can add to the mapping by using color, designs, or creating maps in a different medium other than paper and pencil. Salt dough map – Here is an easy and fun method to make a salt dough map. 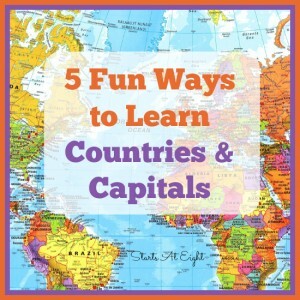 When looking to teach Geography, or any other subject, I highly recommend looking for a program that offers multiple teaching styles to accommodate different types of learners. 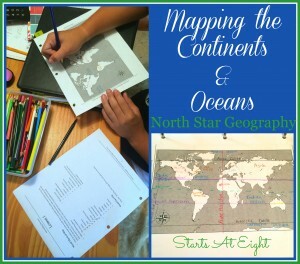 The geography program we are using for our teen this year is North Star Geography and it offers both strictly book and hands on options to teach geography. Great resource for me. 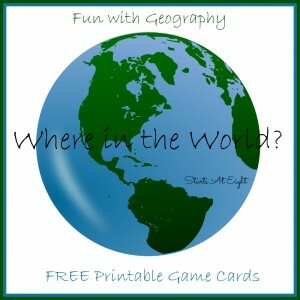 I have been working on geography with my pre teen and have been struggling to figure out how to really go about this. I think I will try both the hands on and book method for her. StI cling to just books makes her sleepy and she has been seeming disinterested in the learning so I put it off until I could find a better way.